The holiday season is here and as we gather together to celebrate this most wonderful time of year, we bring out our most festive lights and extra appliances. Prevent Christmas tree fires. If you are using a natural tree, make sure it is placed well away from heating sources, and is well watered to avoid dry branches catching fire from the heat of bulbs. 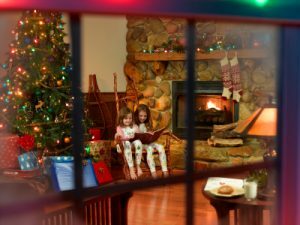 If you use an artificial tree, make sure it is tested and labeled as fire resistant. Artificial trees with built-in electrical systems should have the Underwriters Laboratory (UL) label. Properly use outdoor electric extension cords. If using outdoor lights around your home, make sure you use outdoor-rated extension cords and timers. 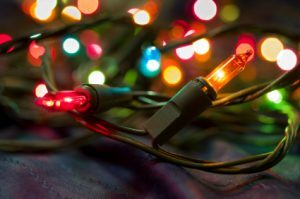 Follow the directions on cord labels regarding connecting light strings and extension cords to avoid overloading electrical circuits. If a cord feels hot to the touch, it is overloaded and may cause an electrical fire. Additionally, make sure the cords are located out of the way to avoid a tripping hazard. Check electric cords for fraying or damage and replace them if you find potential problems. Install safety plugs and outlet covers if you have children in your home. If you experience an electrical fire, unplug it without touching the appliance or turn off the electrical supply. Use a Class C-rated fire extinguisher, if available. If not, throw baking soda on the fire — never water. If necessary, call your fire department. Use extra caution when using space heaters. Always place a space heater on a level, hard surface and keep anything flammable (such as paper, clothing, bedding curtains, or upholstered furniture) at least three feet away from the unit. Turn off space heaters before leaving the room. Clear deep snow from collecting around electric meters. Clearing snow from the area around your electric meters provides a path for UGI personnel who may require access. When removing accumulated snow or ice, please work carefully. Significant ice accumulation or high winds can also cause downed electric wires and power outages. UGI Electric customers who experience an outage should contact UGI at 800-276-2722. If you see a downed electric wire, assume it is energized and DO NOT TOUCH IT. Contact UGI at 800-276-2722 to report the downed wire. If you depend on electric-powered medical equipment for life-support, we recommend that you purchase a back-up power supply or make arrangements to stay with family or friends in the case of an outage. Put together an emergency preparedness kit, including blankets, flashlights, batteries, and bottled water. Click here for a full list of what to include in your emergency preparedness kit. If you use a generator during an outage, please make sure it is used safely by following the manufacturer’s instructions on proper venting and operation. NEVER OPERATE A BACK-UP GENERATOR IN AN ENCLOSED SPACE. 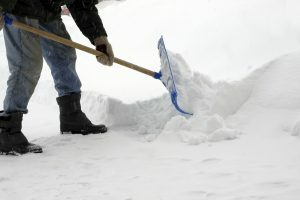 For additional electrical and winter safety tips, visit us at www.ugi.com/safety. Get real-time outage updates by visiting the UGI Electric Outage Center.